Havana Club, "el Ron de Cuba" is a world famous Cuban rum brand (and distillery) made in Santa Cruz del Norte. Since the start of the Cuban revolurion it is state owned. The company makes a variety of white and matured rums including very exclusive releases. 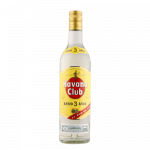 Havana Club 3 Anos is a Cuban rum and best served in a Mojito or Cuba Libre. 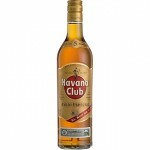 This is a 35cl bottl..
Havana Club 3 Anos is a Cuban rum and best served in a Mojito or Cuba Libre. .. 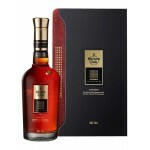 The Havana Club Anejo 7 Anos is a Cuban rum and the one rum master Don José Navarro is the most p.. 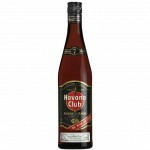 The Havana Club Anejo Especial is a blend of white rum and old rum (up to 5 years) resulting in a.. The Havana Club Seleccion de Maestros is the latest addition to the Havana Club core range. A ble.. 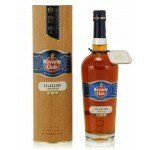 The Havana Club Unión is an exclusive Havana rum and the result of a collaboration between Havana.. 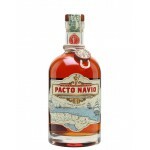 The Pacto Navio rum is a blended rum from Havana Club based on matured Cuban rums who have been m..